IN spite of what the left says there is nothing wrong with our Constitution and it does not need to be scrapped and replaced. 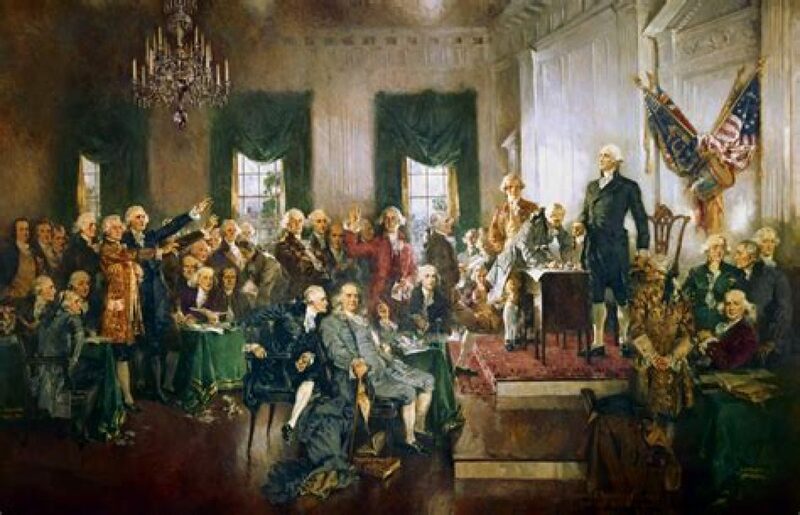 The left has absolutely nothing better than our current Constitution. But I know. Very shortly, you will know: It is capable of stopping the covert/overt insurrection against our liberties like a mosquito being swatted by a pile driver. Let’s face reality: You are not, EVER, going to keep guns out of the hands of people who shouldn’t have them. The claim that you are, or that you have a civic duty to try, is part of the scam you have been suckered into to deprive you of your rights – ALL of your rights. The fact is, no crime or criminal access to a firearm has ever been prevented by a background check, nor were background checks ever intended to: The objective of that scam is not only to deprive you of your right to keep and bear arms by converting the right into a revocable government-issued permission, but to sucker you into waiving every other right you have in exchange for that permission. The democratic socialists trying to bring down our freedom-based nation are just salivating over the prospect of one day declaring the permission revoked, and declaring all our other rights are gone too because we waived them all in exchange for unauthorized government permission we don’t need. Nowhere in the Constitution is the power delegated to the federal government to even license firearm dealers. 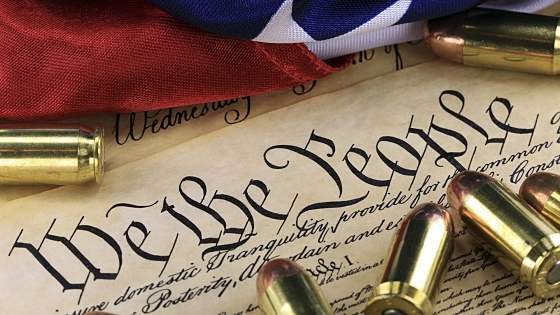 Nowhere in the Constitution is the power delegated to the federal government to compel us to ask permission of government to purchase or transfer a firearm. No federal law requiring this is valid, but rather, is null and void from the moment of its inception for want of subject matter jurisdiction. The 4th Amendment guarantees our right to be secure from unwarranted search and seizure of our rights or our property in the absence of probable cause of criminal conduct – not “maybe, possibly gonna,” but CRIMINAL CONDUCT. This prohibits both the federal and State government from searching our records on government databases fishing for some reason to deny us our rights, and it prohibits so-called “Extreme Risk Protection Orders” (ERPO), or so-called “Red-Flag Laws.” If a citizen is not accused of a crime, confiscating his property OR his rights is a violation of the 4th Amendment. Further, if the property to be confiscated is not “particularly described” – make, model, caliber, design – it violates the 4th Amendment. The 5th Amendment guarantees our right, among others, to DUE PROCESS before any of our rights may be taken. The purchase or transfer of a firearm between law-abiding citizens is not evidence or probable cause or even suspicion of a crime. Being compelled to ask for government permission to exercise a right is a TAKING of the right and converts it into a revocable government-issued permission. No government at any level has any lawful authority to TAKE any right without due process by conviction of criminal conduct in a Court of Law. The 9th Amendment guarantees our long-standing doctrinal right to be secure from being compelled to give up any right in order to exercise any right. No government at any level has the lawful authority to compel us to give up the aforementioned rights, or any of them, in order to be allowed to purchase or transfer a firearm. The Brady Act, which brought this evil and illegal background check into existence, needs to be abolished, and it would be better to do it now than wait until the democratic socialists declare their power and then have to do it kinetically. It has had no effect whatever on the crime rates and was never intended to. Like all gun control laws, it exists for the purpose of stripping us of our right to keep and bear arms in preparation for the take-over. They can’t impose it without our help, and we need to stop helping them. We need to start demanding our rights be honored – by the hundreds – every time a gun banner opens his mouth, every time a legislator introduces gun-related legislation, every time a cop enforces a color of law on a victim exercising his or her rights. We can stop this anti-rights insurrection. But we have to stop helping the insurrectionists.